Is your lawn full of moss and extremely thick? Grass is a plant which continually grows new leaves. Old, diseased, damaged leaves and uncollected lawn clippings from mowing stay on the lawn and build up as a layer of dead organic matter just above the surface of the soil. This is exaggerated if the lawn has been over fed for a long period of time. This layer of material is called “thatch“. As this layer builds up over time, it increasingly restricts the penetration of water, nutrients and gasses down to the root zone of the plants, gradually suffocating the lawn. A lawn with a considerable thatch layer will have thin, weak growth, will be spongy, lifeless and will allow moss to take hold. Old, neglected lawns can build up a considerable layer of this thatch material. In extreme cases this can be up to two or three inches thick. Scarification is the process of lifting the majority of this thatch layer from the surface of the lawn and removing it to bring it down to a more manageable level. It is most effectively carried out using a motorised mechanical scarifier. 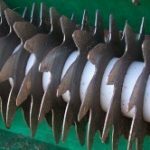 A scarifier consists of rotating horizontal shaft of knife-type blades, or flail attachments which penetrate the top surface of the lawn. It physically lifts the thatch material it to the surface, where it can be raked or blown off. The autumn heavy scarification process is a complete scarification service. Sometimes, not scarifying a lawn enough can be worse than not scarifying at all, as the grass will be damaged, but will still be being suffocated by a thatch layer so unable to recover. As a result, the grass will really struggle to put out new growth, seed will not germinate and bare, untidy patches will occur. The waste thatch material is then raked, blown or vacuumed off and, if necessary, the process is repeated. Sometimes scarification can be required up to five, six or even seven times before all of the thatch has been removed from the lawn. However, most well-maintained lawns usually only need two passes. After a heavy scarification the thatch is gathered and bagged for easy disposal. It is not recommended to compost the thatch. It is low in nutrient content, fibrous and contains a lot of weed seeds and moss spores which I’m sure you don’t want to spread around your garden! Also the very large amounts of material that can be pulled from a lawn (up to 1 large bin bag per square meter!) does not make home composting a viable option. Scarification should only be carried out when grass is actively growing in order that it can recover from this rigorous process. The Lawn Man only scarifies when it is right to do so. Scarification provides a great opportunity to re-invigorate your lawn. 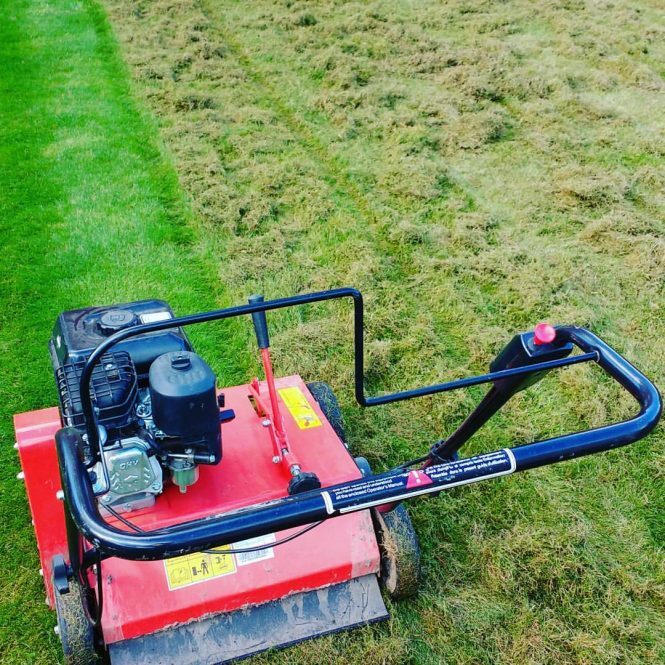 Straight after scarification is a fantastic time to get the most benefit from other lawn treatments, such as aeration, a fertilisation treatment, overseeding or a top dressing. Removes the organic matter from the surface of the lawn, helping it breathe. Refreshes a lawn, helping it to absorb water and nutrient much more easily. Enable new grass leaves to grow, improving the colour of the lawn. It is one of the most beneficial treatments that can be done to an old, tired lawn. Your lawn will be unusable for a couple of weeks while it recovers. If it is not scarified properly, the lawn can end up a lot worse than it started. A heavy scarification lawn treatment must only be carried out when your lawn is actively growing and has time to recover. The autumn is the ideal time for this. The soil is warm and the grass will recover over the winter without being damaged. Spring is less ideal for a full scarification treatment. The soil can still be cold from winter and you may wish to use your lawn over the summer before it has fully recovered from the treatment. Often a spring clean scarification is sufficient if the lawn does not need a full regeneration. You can scarify in most good weather conditions, even light rain. However, ideally you need the grass to be dry. Thatch material which is removed will contain less moisture and weigh a lot less. To help get the most waste material out of the lawn, it is best to cut the lawn very short a couple of days before a heavy scarification. Much closer than usually recommended. This enables better removal of waste thatch material without excess grass leaves, giving a much better result. If you have a problem with moss, then a moss control treatment at least two weeks before will blacken it. This will help it to be pulled out of the lawn much more easily. This does depend on the size of your lawn and the amount of thatch within the grass sward. However it will usually be at least a couple of hours, and sometimes up to even a day or two. This treatment pulls out a great deal of waste material from the lawn. This “thatch” is then bagged up for disposal. Removal of the thatch can be arranged. They can also be put into your green bin for council collection or taken to the local green waste disposal facility. Please be aware that these bags containing thatch may be quite heavy, especially if it is wet. 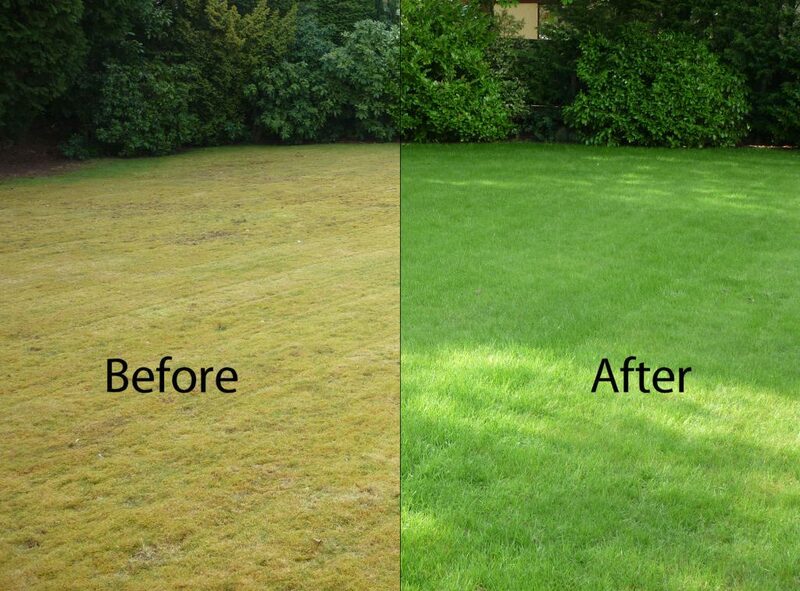 It is important to give your lawn some time to recover from scarifying before using it. It will be stressed. If it’s not raining, watering the lawn daily for the following couple of weeks will speed up recovery. Within six weeks you will see the grass green up tremendously. Overseeding a lawn after scarification will also help to speed up recovery and bring about a better lawn in the long term. You can also top dress and fertilise the lawn to improve it. Aerating the lawn after scarification is also a very good option to help reduce compaction in the soil.